In a new paper that will be presented this week at the ACM FAT* Conference on algorithmic transparency, a group of researchers investigated how behaviors were judged by downloading a large corpus of hundreds of thousands of entries from the Beijing SCS website and analyzing it with content analysis machine learning tools. If you’ve had credit card debt in the past, or you have an older card you don’t really use anymore, you’ve probably read the advice that you shouldn’t actually cancel your card, rather keep it open to boost your credit score (more on how that works here). In theory, it’s a nice plan. But if you’re not actively using your card, your issuer may just cancel it for you. There are any number of reasons your credit card issuer (the credit card company, bank or other institution through which you applied for your card) might cancel your card. In fact, they don’t even really need a reason not to extend you a credit line. But some reasons are more common than others. Not using your card frequently is one such example. Your issuer makes money each time you make a transaction, and, naturally, they’re hoping you’re building up debt and paying interest. When you’re not using your card, you’re not valuable to the bank or card company. If you’re trying to pay down debt or consolidate cards and don’t want to use your old cards, you could put a bill or two on auto-pay on it so that there are still transactions going through each month. The issuer might also cancel your card if your credit score takes a dip, or if you take on a large amount of debt. 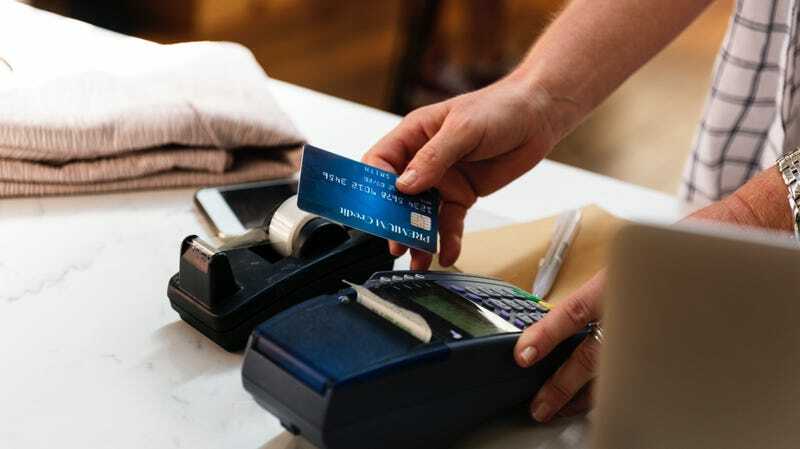 “We look at a variety of elements, including their spending and payment history with American Express, their debt/spending/payment history with other lenders, credit bureau scores and other credit report information,” Sonya O. Conway, vice president of public affairs and communications at American Express, told CreditCards.com. And of course, if you don’t abide by the terms of your card agreement—you pay late, go over your limit, etc.—they can cancel your card. And closed cards hurt your credit score. Your issuer doesn’t need to give you notice that they’re canceling your card, either. “According to the Equal Credit Opportunity Act, creditors can close an account for delinquency, inactivity or default with no notice whatsoever,” reports CreditCards.com. “If they close an account for other reasons, such as an adverse credit report, they must notify the cardholder within 30 days after taking the adverse action.” That’s not exactly helpful for the consumer. Make (at least) the minimum payment each month by the due date. Keep tabs on your credit score to catch any inaccurate info. Check online forums for cards you’re interested in to see if users complain about them being cancelled frequently. Beyond that, credit card issuers can also change your interest rate or your credit limit, depending on the circumstances. But if you make on-time payments without racking up debt, you’ll likely be in the clear.